Silver hand-stamped buckle with ten hand-stamped silver conchos, circa 1970s, by Navajo Artist Wilson Jim and also signed with Rocking Horse Ranch sign. 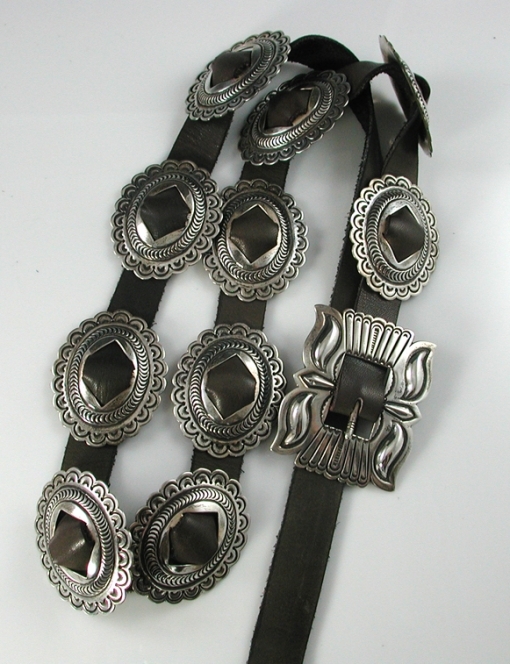 There are 10 conchos and the buckle. 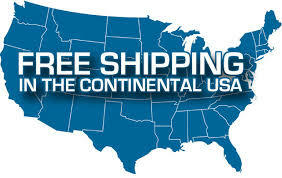 Each concho measures 1-3/4″ by 2-1/4″ and the buckle measures 2-3/4″ by 2-3/4″. Wilson Jim worked at Rocking Horse Ranch in Phoenix when he made this belt which dates it in the 1970’s. Wilson was born on July 13, 1949 near Jeddito Trading Post, Arizona. He has been an active Silversmith since 1969 and each piece that he makes is expertly stamped, filed and finished by Wilson himself. He has received numerous awards for his work and is highly acclaimed for his detail in each piece. 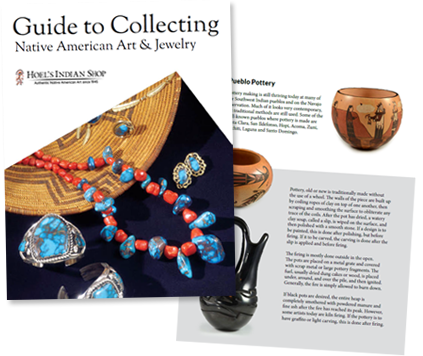 Wilson has worked and shown exclusively at Morning Star Traders in Tucson, Arizona for many years. Rocking Horse Ranch was originally a ranch in Phoenix owned by the parents of Lani Mastrangel. After marrying Kevin Randall in 1968 and a stint for Kevin in the Vietnam war, Lani and he began producing high quality silver jewelry at the ranch. They began by hiring talented Navajo silversmiths, including Edison Smith, who was very interested in the early Navajo “master silversmiths.” Thomas and Wilson Jim, Thomas Curtis, Fidel Bahe, and Curtis Pete also worked there and learned the craft of the “master silversmiths.” Rocking Horse Ranch concentrated primarily on making concho belts and the artists there were instrumental in revitalizing the design and techniques of the early 1900s. Belt measures 1" x 42". Buckle measures 2 1/8" x 42 3/4". Each concho measures 1 7/8" x 2 1/4".